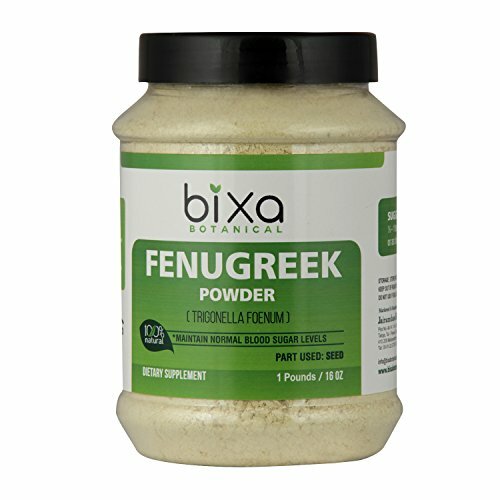 Fenugreek Powder –1 Pound/16 Oz (Trigonella foenum), Blood Sugar controller & Nutritive | Ayurvedic herbal supplement for reducing High Cholesterol Level, Increase haemoglobin, Useful in kidney stone. The galactomannan present in the spice is capable of decelerating the absorption rate of sugar into our bloodstream. Fenugreek have deep positive impact on our gastrointestinal system. It can flush out toxic materials from our body and keep it clean. which eventually results into better digestion. • ½ tea spoon with 1 glass Jamun juice with stevia twice daily before food.